Sringeri Vidya Bharati Foundation Stroudsburg (SVBF) is established as an international extension of the ancient Sri Sharada Peetham, Sringeri, Karnataka State, India. It is incorporated as a non-profit religious and charitable organization in the USA. The Foundation functions under the direct guidance of the Jagadguru Shanakaracharya, His Holiness Sri Sri Bharati Tirtha Mahaswamigal of the Sringeri Sharada Peetham. Its name combines the names of Swami Bharati Tirtha, the presiding Jagadguru of Sringeri, and His Guru, Swami Abhinava Vidyatirtha. The word Vidya means “knowledge” and Bharati means “Sharada, the Goddess of all learning”. 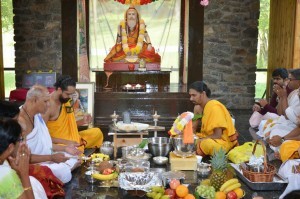 This is the first affiliated Shankara Mutt of Sringeri outside India. The Foundation’s Sringeri Sadhana Center was established in a 35 acre property in the scenic lush green Pocono Mountains of Pennsylvania at Stroudsburg. The foundation is registered in the State of New Jersey with its offices at 5, Yates Dr., East Brunswick, NJ 08816. Sadhana Center for the understanding and propagation of our philosophy, and values. It is extremely committed to foster our Sanatana Dharma among global communities in general, and in the Continental United States in particular. 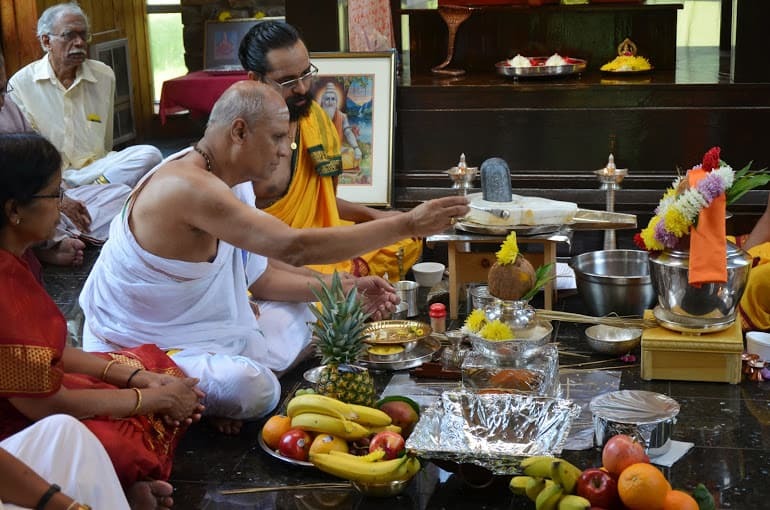 Sringeri Vidya Bharati Foundation Stroudsburg is in the process of constructing a new temple in the same property. The Bhoomi Pooja Ceremony was performed on August 6th 2005 and construction of the temple and priest quarters commenced on April 16th, 2006. 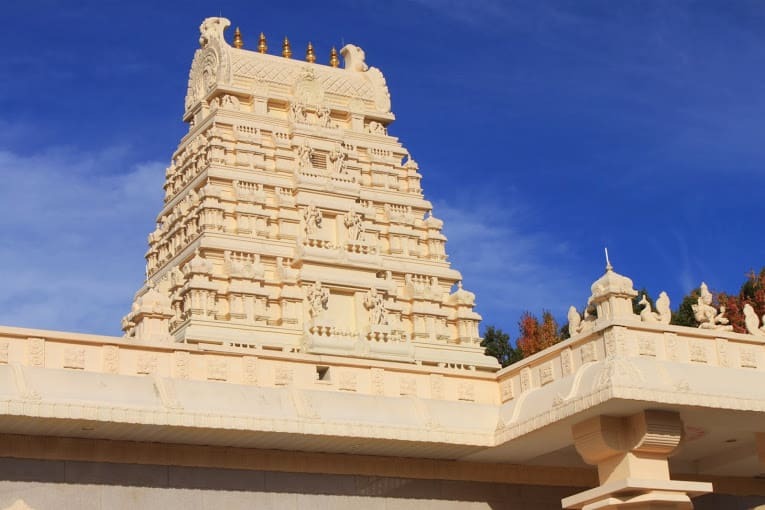 Sringeri Vidya Bharati Foundation Stroudsburg requests you to generously donate and show your support to the new temple. To enable the understanding of our Scriptures. 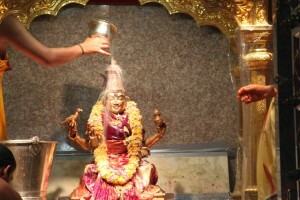 To support Veda Patasalas and encourage Vedic priesthood.To actively participate in humanitarian, charitable community services, in accordance with the prescriptions of our Dharma. 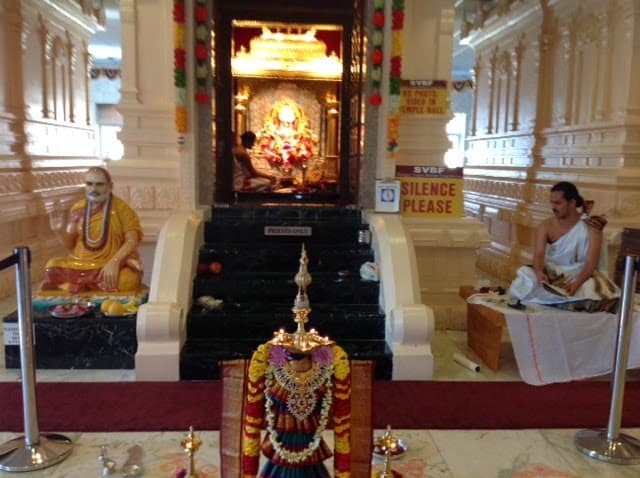 Our Foundation is really blessed to have the first Shrine for Adi Sankara in the West. 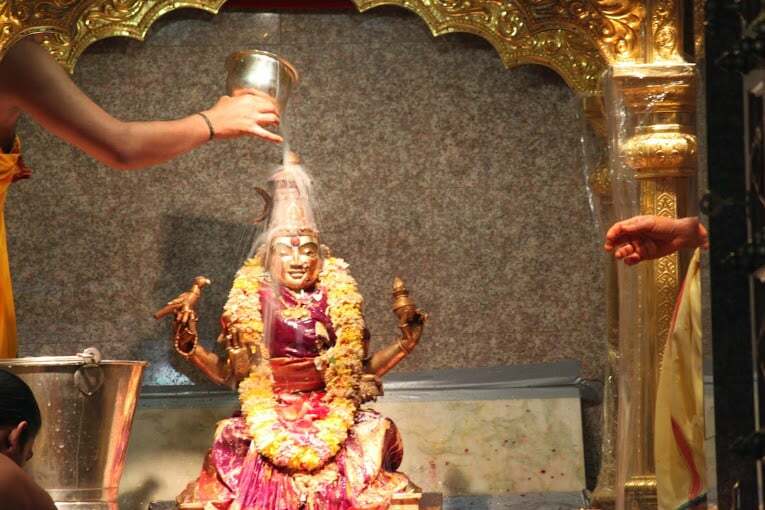 Sri Sharada as the Goddess of Learning, Sri Adi Sankara as the spiritual teacher and Sri Maha Ganapati as the meaning of Pranava, – grace our Shrine, and His Holiness, the Jagadguru Sankaracharya from Sringeri guides us in accomplishing our mission. Our biggest assets are the inspiration and blessings of His Holiness and our volunteers/supporters. You can be a part of the global family of Adi Sankara’s disciples by extending your support to the cause of our Foundation. May the Grace of Shri Sharadamba and the blessings of the Jagadguru be with you and your family always.